The tree of science is growing at a faster and faster rate, sprouting new shoots at the top: the academic zone. As the science is growing upward the branches get thinner and thinner as everybody gets more specialized. We may image that at the end of each little twig sits a professor always striving upwards. There is another way, to go back, climb downward in the tree, stop at some point and try to find a direction nobody has developed: A new branch. 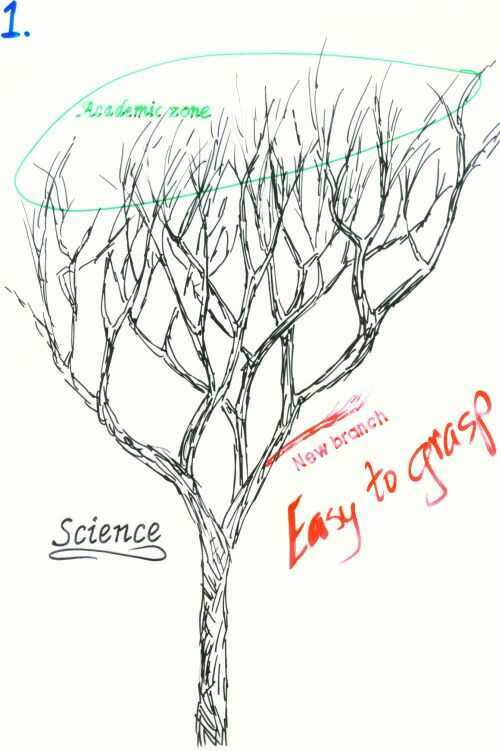 A new branch does not require all the sophisticated tools needed when going upward on a twig at the top. In the beginning the new branch is easy to grasp, and so is my book.